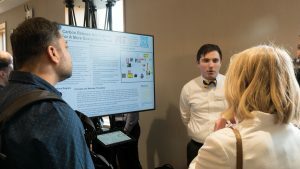 Arthur Middlebrooks, a current SDM fellow, presented on his work with the Systems Engineering Advancement Research Initiative (SEAri) at the 17th annual Conference on Systems Engineering Research (CSER) on April 4, 2019. The conference is hosted jointly by the Stevens Institute of Technology and Virginia Tech and focuses on theoretical work in systems engineering and its translation to practical application. 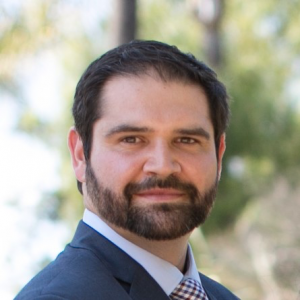 Middlebrooks’ paper, titled “Broad Utility: Architecting Flexible and Robust Systems for a Complex Operational Environment,” discusses research focused on the U.S. military and its operational environment, proposing a set of key design decisions for systems engineers and architects to employ when developing systems that need to respond to changing environmental conditions and handle disruptions without a loss in effectiveness. The paper also includes authors Donna Rhodes of MIT, Jeffrey J. Cipolloni of Draper, and Simon R. Goerger of the U.S. Army Engineer Research and Development Center. Middlebrooks matriculated in the SDM program in August 2017 and serves as a Captain and Operations Research and Systems Analyst in the U.S. Army. 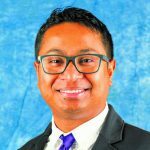 He is a Systems Engineering Fellow at Draper and a graduate research assistant at the MIT Sociotechnical Systems Research Center. To read the paper, download it here. SDM congratulates Arthur on this achievement! This entry was posted in Homepage News Item, News on April 22, 2019 by Naomi Gutierrez. In the spring semester of the combined core class in systems thinking, SDM students put the skills and tools taught in the course into practice by partnering with sponsors to solve real-world problems. This spring, students took on projects from a variety of industries, all of which offer challenges that systems thinking principles may solve. On March 16, students presented their midstream project updates to an audience of local and distance classmates as well as faculty and teaching assistants. For the offshore platform repurposing project in partnership with Shell TechWorks, students developed a trade space of architectural options. To identify promising architectures, the system was modelled and plotted on a tradespace comparing the capital expenditure to the annual energy produced. 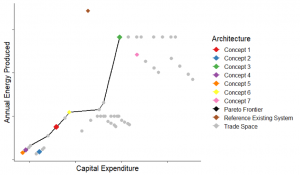 Architectures on the Pareto Frontier of this plot are more likely to be economically feasible. The presentations revealed how students focused their projects to tackle something manageable within a single semester. For example, Lisa Crofoot presented her team’s work with Shell TechWorks on the reuse of offshore oil facilities, explaining that they chose to look at the possibility of using these facilities as hubs for renewable energy generation. This choice aligns with Shell’s transition from an oil company to a holistic energy company and gives the students a chance to focus their efforts on an in-depth analysis of the many factors going into the future transformation of these facilities. Crofoot showed the class her team’s morphological matrix and financial feasibility graphing and demonstrated how the team is mapping out areas of interest, stakeholders, and performance indicators. 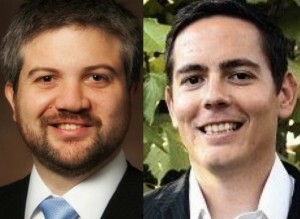 In another example, Nestor Figueroa and Nick Dowmon described how their team zeroed in on a manageable project for the University of Massachusetts Boston Medical School, which is trying to increase and diversify the pool of patients recruited to its clinical trials. 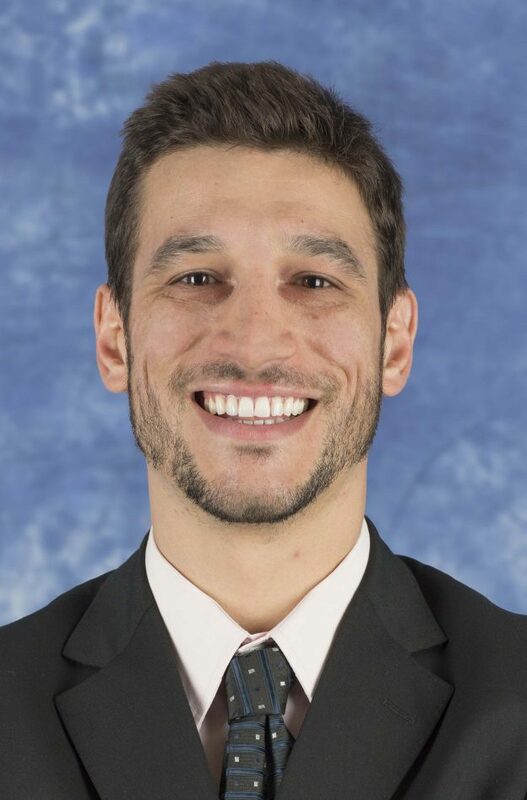 Figueroa explained that the team is focused on implementing a solution involving medical providers, because those providers are already trusted by the people that the medical school hopes to recruit into trials. In addition, working with providers offers patients the chance to participate in trials without interrupting their current programs of care. Several presenters described the challenges they have faced getting their projects under way. Some teams, for example, reported having difficulty getting data from sponsors due to legal issues or a lack of understanding about what information would be needed for proper analysis. Brady Hammond highlighted his team’s trouble dealing with sources of information who are invested in the current state of affairs, such as contractors who have no incentive to support changes to the system. Going forward, all of the teams will face issues and setbacks like these; that’s what comes with tackling real-world problems. We’ll provide further updates through the semester, leading up to the students’ final presentations in May. This entry was posted in Homepage News Item, News on April 19, 2019 by Naomi Gutierrez. 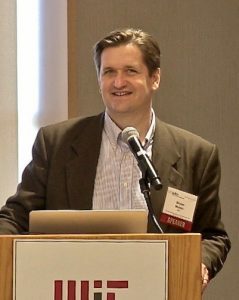 MIT’s System Design and Management (SDM) program has named Ben Linville-Engler to serve as its new industry and certificate director. Linville-Engler brings a long track record of technical leadership skill to the role, along with strong connections with industry, particularly in the medical technology and biotech space. As industry director, Linville-Engler will be responsible for growing relationships with companies across a wide range of industries to pursue opportunities for SDM research collaboration, identify and share best practices, and secure corporate sponsorship for SDM projects. He will also lead the SDM Certificate in Systems Thinking, a career-compatible one-year program that utilizes core systems theory and complements the SDM master’s degree. Certificate students attend the regular SDM master’s core classes online at a distance while continuing to work full time. 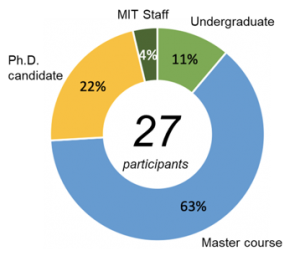 They also complete comprehensive capstone projects, applying integrated systems approaches to challenges jointly selected by the student’s company and MIT. 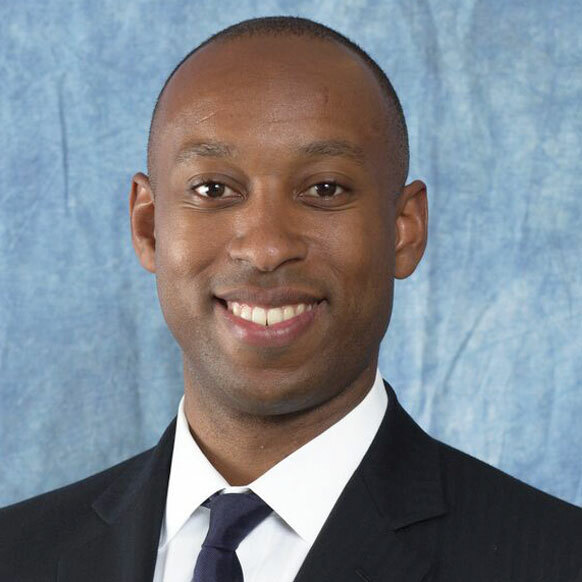 Linville-Engler joins SDM after spending almost 10 years at Applied Medical, a global medical devices company, in roles of increasing responsibility spanning the full product lifecycle. 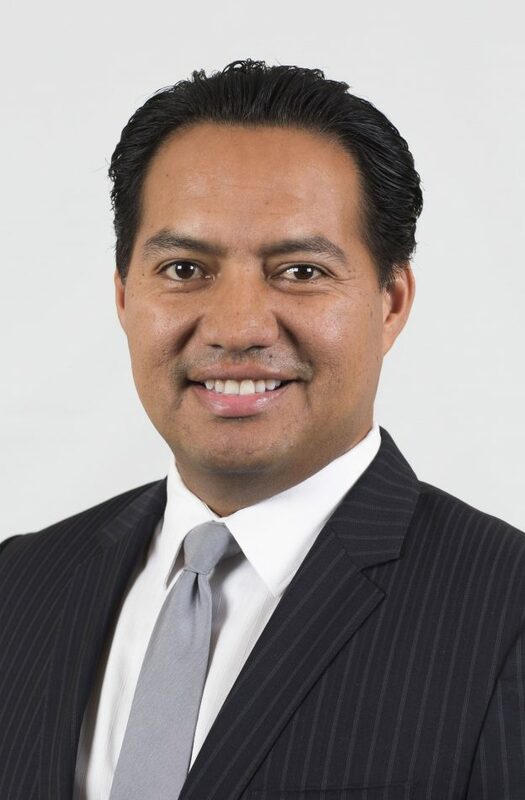 Dividing his time between California and the Netherlands, he led the development of the Voyant® Electrosurgical System and expanded the European organization, finishing as vice president of product development and engineering for Europe. 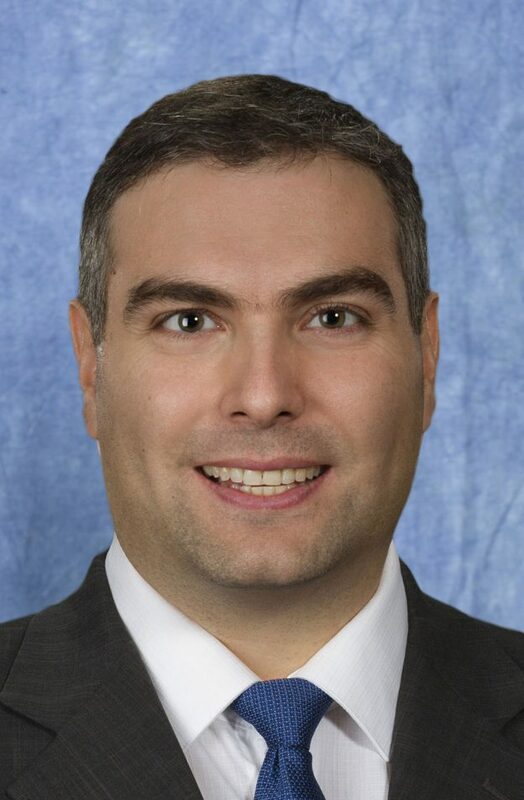 Linville-Engler also has experience working with medical technology and healthcare technology startups in the Boston and MIT innovation ecosystem, sharing his expertise in technology and product development as well as in quality, regulation, innovation, and business strategy. Linville-Engler is an SDM alumnus; he wrote his SDM thesis on a systems approach to genomics developed in collaboration with the Broad Institute of MIT and Harvard. While a student at MIT, he helped lead the Sloan Healthcare and BioInnovations Conference, represented the SDM program on the Sloan Senate, served as a core instructor for the Designing the First Year at MIT course, and was awarded the 2018 SDM Award for Leadership, Innovation, and Systems Thinking. In addition to holding an MIT master’s degree in engineering and management as an SDM alum, Linville-Engler holds a B.S. in mechanical engineering from the University of Colorado Boulder. This entry was posted in Homepage News Item, News on April 17, 2019 by Naomi Gutierrez. The System Design and Management program is pleased to announce the return of the Systems Thinking Webinar Series with a talk by Bryan Moser, SDM Academic Director and Senior Lecturer. About the Presentation: MIT SDM’s new core curriculum has been developed over five years to integrate capabilities in system architecture, system engineering, and project management. The courses support the development of engineering leaders to navigate, frame, and analyze decisions in tradeoff across stakeholder, functional, and implementation strategies. Additionally, research has been launched — only recently feasible — on the performance of the “team of teams” required to solve complex engineering challenges. These research projects leverage both model-based systems methods and highly instrumented engineering teamwork experiments. This talk by Dr. Moser, the Academic Director of MIT SDM, will introduce the learning objectives and outcomes of the new SDM curriculum as well as an introduction to research on the underlying behaviors, architectures, and dynamics of teamwork for complex systems projects. About the Speaker: Moser has been lead instructor and a member of SDM’s core faculty since 2013. 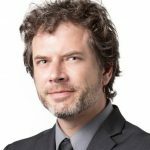 He currently serves as associate director of MIT’s Strategic Engineering Research Group and is a project associate professor at the University of Tokyo and director of its Global Teamwork Lab. In the past, Moser has taught leadership development in MIT’s Technology and Policy Program (TPP). He holds a Ph.D. from the University of Tokyo’s Graduate School of Frontier Sciences and earned his B.S. and M.S. from MIT. This entry was posted in Homepage News Item, Webinar on March 13, 2019 by Naomi Gutierrez. 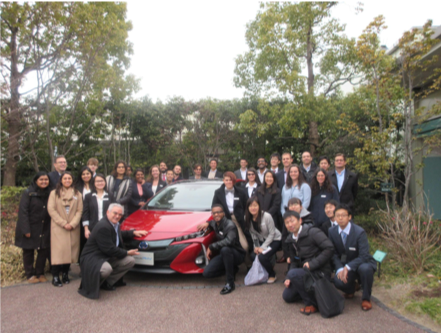 Innovation Discovery Japan (IDJ) is a tech trek to Japan in which MIT students and researchers visit technology-oriented Japanese companies and research institutes. 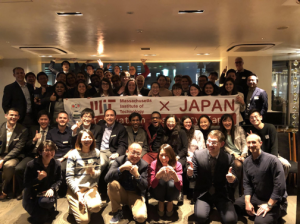 IDJ was established in 2017 by Japanese students at MIT to build networks between MIT and Japan by exposing MIT students and faculty to Japanese technologies and businesses. The third trek, IDJ ’19, took place January 21-25, 2019. IDJ’19 participants come from diverse fields and programs within MIT, which allows everyone involved to learn from each other as well as from the companies. Fourteen SDM fellows participated in IDJ’19, which was led by seven Japanese students from SDM. These SDM students (Hiroyuki Ikukawa, Ayano Kagami, Takuya Kashimura, Koji Nakashima, Yuki Soeda, Ryuichi Takagi, and Yasutsugu Tamura) organized company visits and managed logistics for the tour. We spent five days visiting companies in Nagoya, Kyoto, Osaka, and Tokyo. The participants divided into groups based on their interests; during the trek, we visited 10 companies in total. 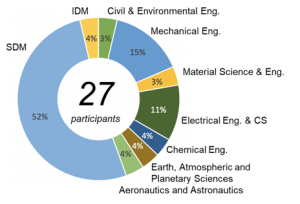 To meet the diverse interests of participants from different backgrounds, we selected companies from a variety of industries and in a range of sizes, from large, established companies to small startups. 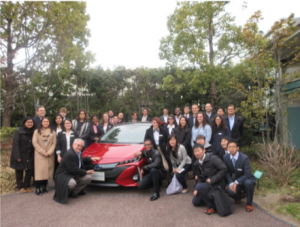 We visited the Tsutsumi manufacturing plant, home of the Prius and Camry production lines. We were able to see the Toyota Production System in action through the welding process, which used synchronized and densely packed robots, and the assembly process, which involved a largely uninterrupted flow of cars-in-the-making, materials, and people. It was impressive to see how Toyota has optimized its processes, balancing the work of people and automated systems across the manufacturing value stream. 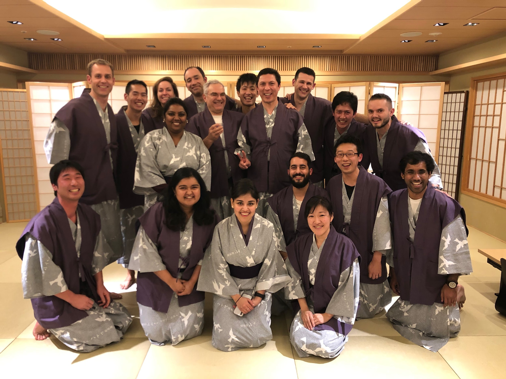 We were also impressed by Toyota’s commitment to the Kanban and Jidoka culture that provides the foundation for Toyota Next Generation Architecture. This commitment has led Toyota to increase the modularity and flexibility of its systems to create more commonality across platforms and production sites. Jinki-Ittai is a small startup focused on using teleoperated robotics to enable humans to lift and move heavy objects. 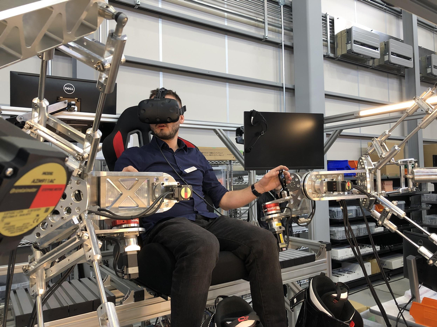 Its system includes force feedback so that the human operator can actually sense resistance through the joystick—for example, if the machine is pushing against a wall. For visibility, a virtual reality headset is worn, broadcasting the stereo-vision setup on the head of the robot so that the user actually sees what the robot sees. In its current form, the robot has two halves: the torso (including two manipulators and a sensing head) and the leg section. After the discussion, students were able to see the robot, and some were even able to test out its controls. Astroscale is a small aerospace company focused on cleaning up orbital debris. It has developed a chaser satellite outfitted with a magnetic capture mechanism that can rendezvous with a target satellite and ensure both burn up in the atmosphere. Astroscale is hoping to lead this field as the amount of end-of-life regulations regarding small satellites increases. Company leaders plan to expand their business once their chaser satellite has flown its first mission. We visited their engineering facility and were also able to chat with an MIT AeroAstro alumnus about his experience working at Astroscale. teamLab focuses on creating interactive and immersive digital artwork with software. We were able to get insights into how the company develops ideas as well as the vision behind its work. The name truly encompasses the effort to develop each display: It really does take a team of creators and visionaries to make digital art a reality. Now art is not only an outlet for artists but also for engineers who want to use their technical abilities to create and imagine. IDJ didn’t just give perspective, it transformed perspective. There really is something unique about Japanese companies, and the opportunity to meet with over 10 different companies in one week is a once-in-a-lifetime opportunity. 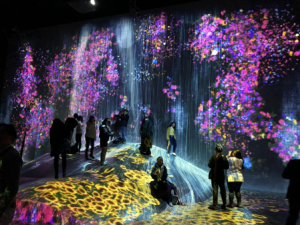 The variety of technology ranges from space-debris-cleaning satellites, to re-engineered stem cells, to massive immersive interactive art installations. And, if that does not impress you enough, imagine a 600 km/hour train in a tunnel from Tokyo to Nagoya. Beyond the profoundness of these technologies, the trip itself was seamlessly executed. The organizers were gracious hosts and dedicated so much time to our daily and evening activities, which included lots of delicious food and fun hangouts. The only thing I knew about Japan before this trip is that people in Japan work very efficiently and they make excellent sushi. Although I wasn’t wrong about either of these things, I got to see a much larger picture of the country. The efficiency of people’s work can be seen in the country’s most basic system—the transport system. From the subways to the Shinkansen (bullet train), everything runs on time, down to the second. The Western phrase, “running late due to traffic,” is invalid in Japan. The companies that we visited exposed us to the startup culture that’s budding up in Japan. One can find Toyota’s concept of Jidoka, humanized automation, in almost every company that we visited. The ability to pay attention to detail is embedded in every aspect of Japanese culture, be it a startup or even food. Speaking of food, one can spend a whole month in Japan trying out different varieties of food. Everything tastes delicious and fresh! Lastly, the trip was phenomenal because of the excellent work that IDJ organizers put into it. I’m very glad that I took the IDJ tour, and I highly recommend that people take this tour! This entry was posted in Homepage News Item, News on March 7, 2019 by Naomi Gutierrez. MIT is commemorating the 50thanniversary year of the Apollo 11 moon landing with MIT Space Week, March 13 to 15. This series of events will celebrate the past 50 years of space exploration and consider the future of interplanetary travel. We are proud to announce that the System Design and Management (SDM) community will be well-represented at these events. 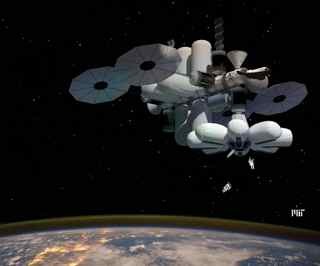 On March 13, two people with SDM ties will participate in a symposium hosted by the Department of Aeronautics and Astronautics (AeroAstro) to investigate the legacy of the Apollo program and envision the next 50 years of human space exploration. The day’s events will feature panel discussions with NASA astronauts and engineers as well as MIT faculty and students. Olivier de Weck, professor of aeronautics and astronautics and engineering systems, will moderate two panels; he has served as the head of SDM’s integrated core curriculum. George Lordos, SDM alum and current AeroAstro doctoral student, will deliver a lightning talk on Project HYDRATION, which envisions mining water from ice on Mars. (The HYDRATION project has also included collaboration from Integrated Design and Management alum Meghan Maupin and Roland de Filippi, a current SDM student.) Advance registration is now open to the MIT community; please register via the event website. Two days later, on March 15, SDM alum John Rising will speak at the student-led New Space Age Conference. Rising will appear on the “Astropreneurs” panel during the Emerging Space Economy Forum, a discussion focused on the rise of the private space industry. Rising is the director of vehicle engineering at Relativity Space, a company working toward 3D printing orbital rockets. To register, visit the event website. Many of the talks and events will be livestreamed over the internet. For more information, visit MIT Space Week. This entry was posted in Homepage News Item, News on March 4, 2019 by Naomi Gutierrez. 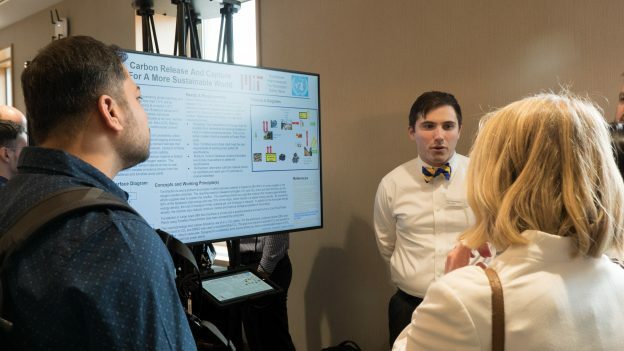 James Pennington, SDM ’18, discusses his team’s poster at the Technology Showcase with fellow students. Society today depends on networks of complex, interconnected systems—ranging from the miniaturized technology seen in wearable “smart” devices to the vast Internet of Things. 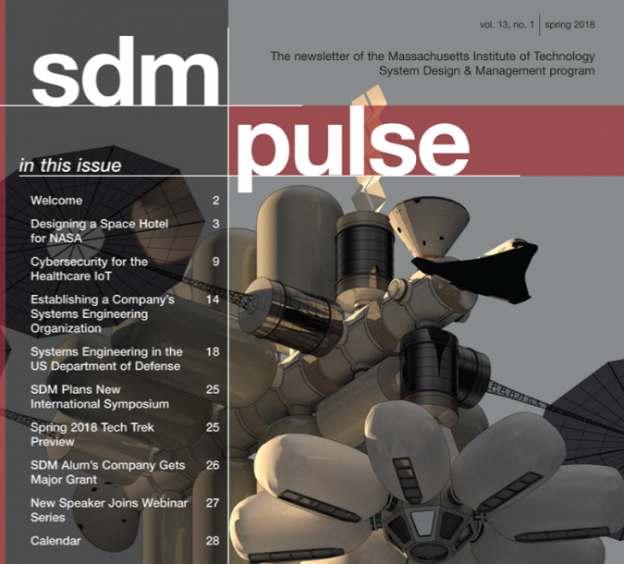 On January 14, MIT System Design and Management (SDM) highlighted these systems and the work that goes into them in a day-long Technology Showcase held on campus. The day began with a poster session featuring work done by SDM students in SDM’s integrated core class, which combines system architecture, systems engineering, and project management in a holistic approach to problem solving. Last fall, students in the class were asked to explore technologies being developed in MIT labs and centers and to consider ways to combine those technologies using an integrated systems approach to problem-solving. At the showcase, students presented the ideas they came up with by studying technologies ranging from 3D printers to micro-thrusters. For example, Tomas Egana SDM ’18 reported that he and his team, which included fellow SDM ’18s Jude Chen, Donald Lew, and Daniel Valderrama, found an interesting way to connect the world of biopharmaceuticals with research into food preservation. Half of the team focused on the Love Lab at the Koch Institute for Integrative Cancer Research at MIT, which is working on sustainable biomanufacturing using the common yeast fungus to produce chemicals for medical applications. The other half investigated the Laboratory for Advanced Biopolymers, which has found that applying silk fibroin to strawberries and bananas creates an edible and non-toxic shell that can extend the shelf lives of these fruits far beyond conventional refrigeration. The SDM team then theorized that the Love Lab technique could be used to create a yeast variant that could produce silk fibroin so that the silk would not have to be sourced from silkworms. In the afternoon, students were joined by representatives from companies across a variety of industries for a session in which company representatives pitched potential projects to students, seeking systems-based solutions to a range of business needs. Students then had the opportunity to sign up in teams to work on these projects, which will serve as part of SDM’s integrated core class for the spring term. Students had dozens of projects from which to choose. Ashley Whitney, an SDM alum working at Cambridge Consultants, pitched a project to determine how to leverage digital health solutions such as smartphone apps or wearable technology to help patients manage post-operative care. On a broader scale, the Japanese shipping company Mitsui OSK Lines proposed that students apply the tools of the sharing economy and the Internet of Things to create an “Uber for shipping” that would help companies find optimal vessels and routes for their goods. The students put in bids for the problems they wanted to solve, and in the end 22 teams were formed. To see how the projects proceed throughout the spring term, follow SDM on Twitter and Facebook for the latest updates! This entry was posted in Homepage News Item, News on February 21, 2019 by Naomi Gutierrez. 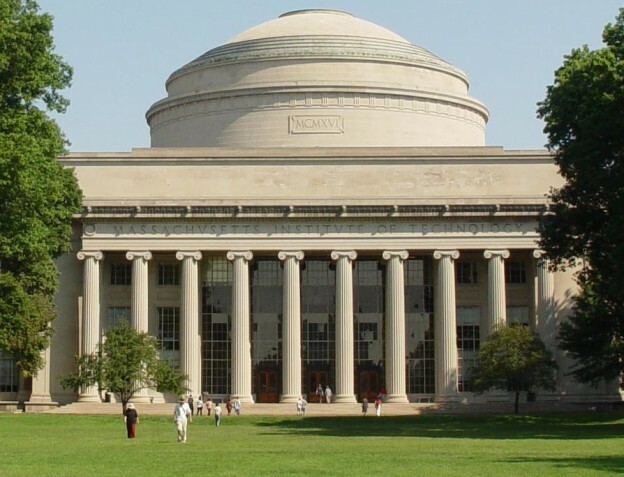 Please join us on Youtube for a virtual information session for MIT’s System Design and Management (SDM) program, which offers a master’s degree in engineering and management. You will have the opportunity to learn more about this flexible graduate program designed for mid-career professionals, discuss career opportunities, and hear from SDM Executive Director Joan Rubin and current fellows in the program. A link to the Youtube live video will be sent to registrants in advance of the info session. 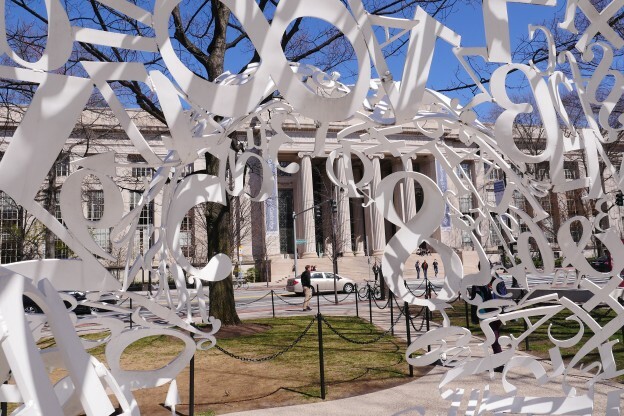 For specific questions, please contact SDM Admissions at sdm@mit.edu. This entry was posted in Events, Homepage News Item, News on January 16, 2019 by Naomi Gutierrez. This entry was posted in Events, Homepage News Item, News on December 13, 2018 by Naomi Gutierrez. This entry was posted in Events, Homepage News Item, News on November 20, 2018 by Naomi Gutierrez. Alejandro Diaz, a first-year student in the SDM program, has received the National Hispanic in Technology STAR Award from the Society of Hispanic Professional Engineers (SHPE). The SHPE Technical Achievement and Recognition (STAR) award honors outstanding professionals for their dedication and commitment to advancing Hispanics in STEM careers. Alejandro, an Associate Technical Fellow at the Boeing Company, received the award for his outstanding impacts to the EVA/Spacesuit Design & Operations field and leadership of major technical projects at Boeing. We congratulate Alejandro on his recognition! For more information on the STAR awards, please visit the SHPE website. This entry was posted in Homepage News Item, News on November 20, 2018 by Naomi Gutierrez. SDM is hosting our third Systems Night! At this evening current students, alumni, and faculty will be able to engage with business and technology leaders focused on systems thinking, design and management. A panel of key speakers from a range of industries will give “lightning talks” on how they employ systems thinking and management principles. The evening will also feature time for networking and socializing with alumni, students, and faculty. Speaker biographies are available on the event website. Systems Night is currently scheduled for Thursday, October 25, from 6:00 to 9:00 p.m., at the Samberg Conference Center located at 50 Memorial Drive in Cambridge. This event is free and open to the MIT community. Registration for free tickets is available via Eventbrite. This entry was posted in Events, Homepage News Item, News on October 4, 2018 by Naomi Gutierrez. This entry was posted in Homepage News Item, News on October 1, 2018 by Naomi Gutierrez. 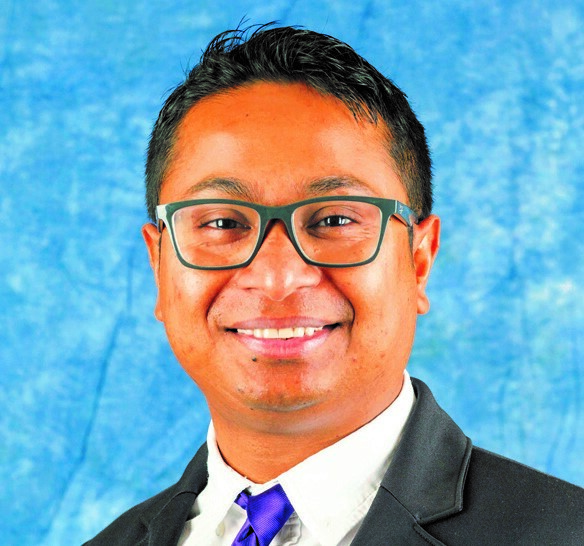 Karan Sachan SDM ’16 is a speaker at the Product Innovation Summit, scheduled for September 27-28 in Boston, MA. Karan is a Senior Product Manager at Nasdaq and the product lead for Nasdaq’s Data Integrity platform. The summit will provide a deep dive into design thinking models. For more information and to buy tickets, please visit the Innovation Enterprise website. This entry was posted in Events, Homepage News Item, News on September 20, 2018 by Naomi Gutierrez. This entry was posted in Events, Homepage News Item, News on September 7, 2018 by Steven Derocher. Jack Yao SDM ’15 is running a successful Kickstarter campaign to bring a portable external laptop monitor to market. DUO, a “completely portable dual-screen laptop accessory” produced by Yao’s startup, Mobile Pixels, was completely funded in four hours. 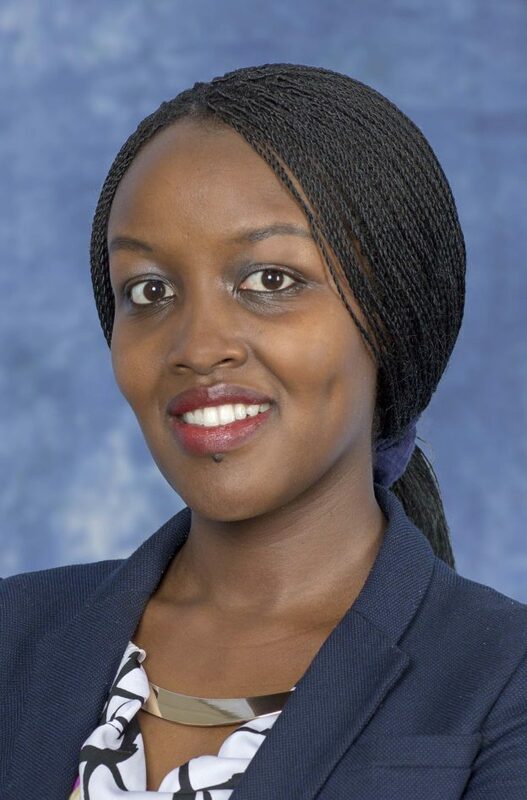 Yao graduated from MIT in June with two master’s degrees—one in mechanical engineering and the other in engineering and management earned through System Design & Management (SDM). Before MIT, he worked in aerospace with GE Aviation. He started Mobile Pixels after interning in 2016 at Amazon, where he found himself in real need of a second monitor. Yao developed a prototype mobile monitor and then, working with Shruti Banda SDM ’15 and Stephen Ng of Northeastern University, launched Mobile Pixels. The startup’s first product, DUO, is a light and portable monitor that attaches to the lid of a laptop with magnets and serves as a secondary display. Mobile Pixels has received seed funding from the MIT Sandbox Innovation Fund and IDEA Northeastern. While the business has already reached its initial Kickstarter goal of $35,000, the campaign will run until July 24, 2018. Early backers can receive DUO monitors at a discount off the retail price. For more information, please visit the Mobile Pixels site or the DUO Kickstarter page. This entry was posted in Homepage News Item, News on June 27, 2018 by Kathryn O'Neill. This entry was posted in Homepage News Item, News on March 30, 2018 by Kathryn O'Neill. The Internet of Things (IoT) is growing fast, with web-enabled devices now helping people to monitor their health, upgrade their cars, and control home heating—remotely. Yet, these advances come with increasing security risks. The technology research firm Gartner predicts that by 2020, more than 25 percent of identified enterprise attacks will involve IoT. how to weigh the tradeoffs between usability and security. Saurabh Dutta directs the experience design team at Rapid7. He has worked in design and usability domains across physical and virtual products for more than 15 years. He has a master’s degree in engineering and management from MIT as an alumnus of System Design & Management. He also has an MS in architecture and design from Mississippi State University and a BArch from Birla Institute of Technology, Mesra in India. Tod Beardsley is the director of research at Rapid7. 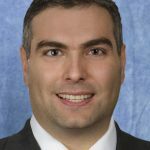 He has more than 20 years of hands-on security experience, stretching from in-band telephony switching to modern IoT implementations. He directs the myriad security research programs and initiatives at Rapid7. He has a bachelor’s degree in information technology management from Western Governors University. This entry was posted in Homepage News Item, Webinar on March 30, 2018 by Kathryn O'Neill. This entry was posted in Homepage News Item on March 14, 2018 by Kathryn O'Neill.